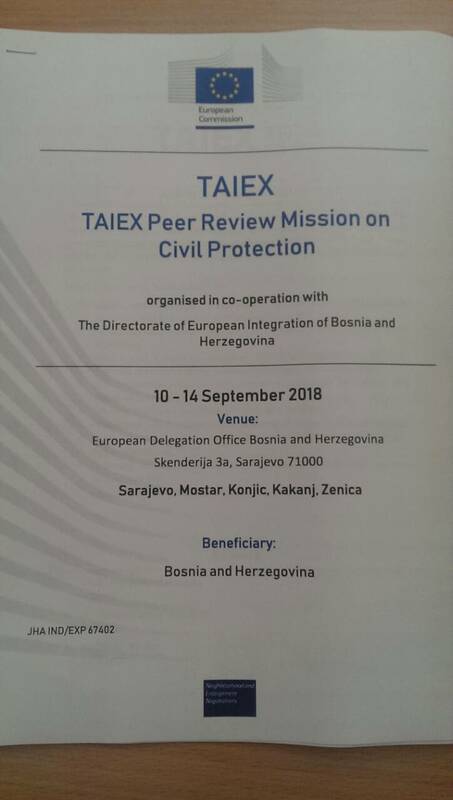 Today EU starts the peer review mission on civil protection in Bosnia and Herzegovina. At the inception meeting the team of experts coming from the Union Civil Protection Mechanism were introduced together with the objectives and goals of the mission. In the next 5 days the experts will assess the legislative, strategic and institutional framework in the area of civil protection throughout Bosnia and Herzegovina leading to a set of targeted recommendations which can be followed by the national and local authorities. Out of 10 DPPI SEE member states, Bosnia and Herzegovina is the only one currently not a member of the Union Civil Protection Mechanism. As part of the session dedicated to international organizations, DPPI SEE Head of Secretariat has presented the Initiative, the work that has been done in the past and the plans for the future.